In many ways, Shazam returns the DC Extended Universe to its deconstructionist roots, but whereas Man of Steel flowing into Batman v Superman acted as a deconstruction of these mythical superheroes, Shazam is more of a deconstruction of the genre it takes part in, exploring superhero tropes while taking part in those same tropes, calling out the absurdity while being genuinely absurd. All the while, it never loses its sense of excitement over the idea of being a superhero, something that has been lost as this genre has continued to evolve. When we look at the genre as a whole, dominated by the expansive Marvel Cinematic Universe, you’ll notice that sense of heroism and wonderment has been lost on a micro level as they deal with the minutiae of alien invasions and larger than life characters. These films love the idea of superheroes, but they’ve lost sight of the soul of the genre. 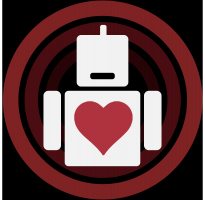 Shazam reminds us of what this genre could be if we reach high enough. 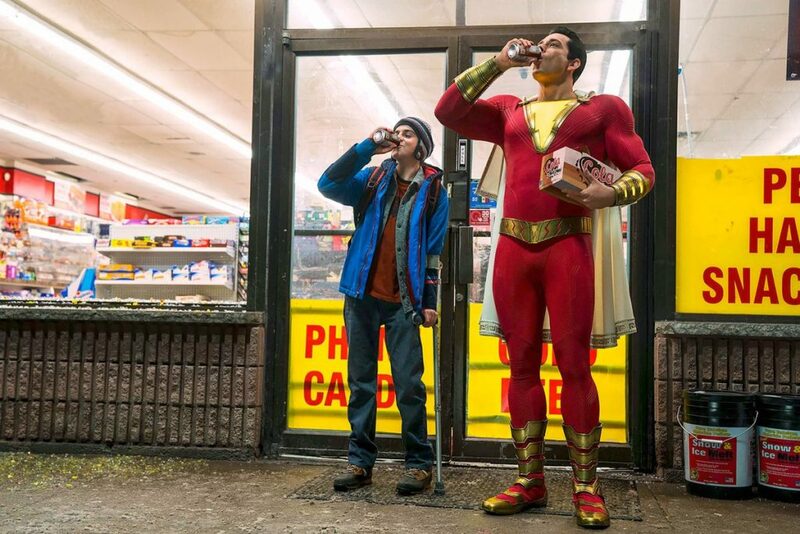 Shazam is ultimate wish fulfillment, about a 15 year old kid who gets the powers of a God, which might explain why it feels so fresh and joyful in its exploration of the character, because it strips the film of any hints of cynicism that these superhero films are drenched in when filtered through an adult lens. Billy Batson (Asher Angel) is the 15-year-old at its center who does a lot of the heavy lifting in terms of an emotional arc. As he deals with traumatic abandonment issues from his past, running from foster home to foster home in search of his mother, he finds himself being placed in a group home, with foster parents and five foster siblings who all welcome him with open arms. Yet Billy still can’t help but struggle with a past that leaves him in this lonely place, and the film chronicles his journey into embracing a family that he ever knew he needed. The superpowers come into the equation when Billy meets face to face with an ancient wizard (played by Djimon Hounsou) who is looking for somebody who is pure of heart, to bestow these superpowers upon in order to protect the world from ancient evils. And after decades of searching, the wizard realizes that he can’t be this picky. So, after Billy helps his foster brother out with a bullying problem, the wizard grants him with the powers of a God, and just by saying the word “Shazam!” Billy transforms into Zachary Levi, an adult who comes strapped with magical powers and his very own super suit. As a character, Billy is lost within his own issues so the film balances this tension with that of his newfound alter-ego. Billy is saddled with the emotional weight of loneliness and abandonment, while the adult hero gets to be the fun, wish-fulfillment superhero manchild, which comes through in the juxtaposition of these two actors representing the same basic character. Levi as the titular hero is magnetic, perfectly embodying the childlike wonder of exploring your superpowers for the first time while not exactly knowing what to do with them, and yet, his performance still keeps Billy’s psychology intact, feeling lost and alone, not allowing people into his space, looking out for himself before others. These two actors create a singular character with a specific psychology that plays into his civilian and superhero self, and while Levi is clearly having a blast in the role, he still maintains that level of groundedness by staying true to Billy Batson. Shazam must go on this narrative journey as much as Billy, and the film explores that dichotomy perfectly. Shazam doesn’t just play in the world of superheroes, it cuts right down to the core of what superheroes mean. While Shazam is a movie that embraces the superhero genre in fruitful and exciting ways, where it truly soars is in its exploration of this foster family, and the environment that is created to maintain a healthy home for kids who might feel lost or rejected. These kids have their own stories with their own trauma, and Shazam truly explores this idea of a family unit in the context of a foster care system. The home that Billy is invited into feels warm and inviting in a way that feels genuine because the movie puts in the work to make us understand the work that the parents have put in to create an environment for these kids to give them a home. The relationship between the parents, played by Cooper Andrews and Marta Milans, feels honest, and that trickles down to the five foster kids, including Billy. Billy’s Foster brothers and sisters are all great, with Darla (Faithe C. Herman) adorably stealing every scene she’s in, but Freddy Freeman, played by Jack Dylan Grazer, is the character who gets to go on this journey with Billy. Being the superhero fanatic that he is, Freddy is our conduit into this meta-commentary on the genre as he helps Billy explore his powers as Shazam. In that discovery process (an invariably long second act) we see Billy as he is – a kid. He’s immature, enjoying the perks of being a superhero without having to do any of the work, reminding me of the genre the film exists within; where a lot of its peers love the iconography of the superhero aesthetic, many of these movies fail to understand the core aspect of it all. No matter how many times you save the world, it’s all irrelevant if these heroes don’t share a connection to the world they’re saving. Shazam understands that, so while Billy is selfish as he wades through his own trauma, the film takes him on a narrative journey that pushes him towards heroism, and that journey starts when he is confronted by Mark Strong’s Dr. Savana. Mark Strong provides a strong presence to Savana, who has the powers of the Seven Deadly Sins, and this is where director David F. Sandberg allows his horror background to shine through. The visualization of these Sins feels like they were pulled straight from the ’80s, and given updated creature effects, allows for some serious horror elements to sneak into a film aimed at all ages. The film deals with heavy themes yet Sandberg still maintains a tone that balances these weighty themes with the wonder and awe of being a superhero, so these two tones on opposite ends of the spectrum meld together to create something truly unique. And yet, heading into the finale, I was nervous, because that’s where these superhero movies tend to abandon their ideas in order to have the hero and villain trapped in a climactic punching match. Even in something as great as Wonder Woman or Man of Steel, these films get trapped within the confines of the genre, unable to separate themselves from the third act woes that so many of these films face. 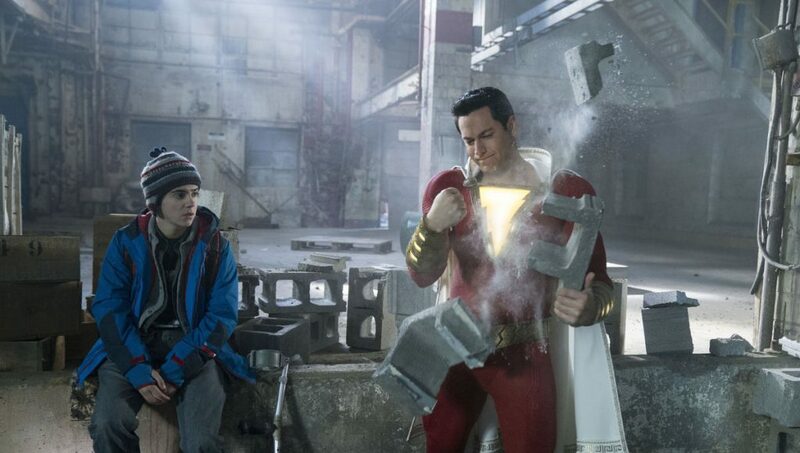 And what’s so incredible about Shazam,instead of abandoning its ideas, the movie strengthens them by tying everything together in a way that adds a new wrinkle into the formula, maintaining its sense of wonderment while still staying true to superhero cinema. How this film concludes is truly perfect in every way, reminding me of The Avengers, in that feeling it provided as I watched everything tie itself together, with a final shot that left me giddy. Shazam takes Billy on a true journey of self-discovery, allowing him to work through his trauma organically, so when he finally embraces his inner hero by embracing the family that surrounds him, it feels earned. This is a film that doesn’t just play in the world of superheroes, it cuts right down to the core of what superheroes mean. Billy must learn that lesson with us, and when he discovers the meaning behind the cape, it makes it all the more meaningful.